Establishing a home garden proves not only therapeutic for the person doing the gardening, but also for every person living in the house. Since gardens are full of fresh flowers, plants, trees, thick green grass and other outdoor decorations, it is a good place for meditation and relaxation. Some invest much on their patio, especially those who love outdoor barbeque and retreat activities with friends. Article written by Artificial Turf Supply Commercial & Residential Division. It’s easy to assume that having a healthy looking natural grass lawn will help you to feel healthy as well. However, for millions of Americans, the smell of fresh-cut lawn is anything but healthy. For many people with seasonal allergies, grass is a major problem. Breathing in grass pollen can leading to running noses, itchy eyes and in some severe cases asthma attacks. Being exposed directly to grass can also cause itching and hives. So what can you do if you want to have a green lawn but are allergic to grass? Switching to synthetic grass is a great solution. An artificial turf lawn has the major advantage of having no grass pollens whatsoever. Simply put, you can enjoy an artificial grass lawn year-round without ever having to worry about your allergies acting up. You also don’t need to go outside in the spring and do mowing and other yard work that can cause your allergies to flare up since synthetic turf never needs mowing or edging. Reducing allergy problems is just one of the potential health advantages of switching to fake grass. Since you never need to worry about using pesticides or artificial fertilizers with artificial grass, you’ll also never have to worry about harmful chemicals getting into your system. According to the Centers for Disease Control, the average person has 13 different kinds of pesticides inside of their body. These have been picked up through years of contact with lawns, gardens and more. Moving to a synthetic lawn eliminates a major point of potential pesticide contamination. Artificial Turf Supply Commercial & Residential Division is a leading provider of top quality home and commercial artificial grass. The company has more than 30 years of combined experience helping people select the right turf for their needs. Are you thinking about purchasing synthetic grass for your home? Great news! Today’s latest synthetic turf products are made to look and perform like natural grass, except they don’t require the same amount of work. 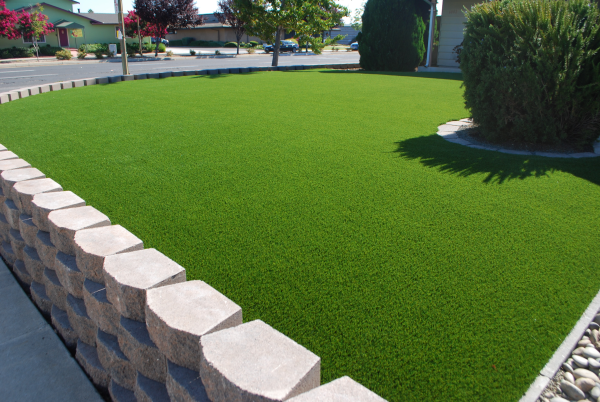 For example, fake grass doesn’t have to be watered, mowed, or fertilized. It doesn’t have to be repaired after heavy rain or rejuvenated after the summer months. But if you’re new to fake grass, it might seem like a complicated project. The good news is that with the right tools and preparation, installing a synthetic lawn is relatively easy. Here are a few tips for beginners. Preparing the ground for fake grass is an important factor in the installation process, one that should be done properly. The preparation phase includes several steps, including but not limited to measuring and outlining, removing topsoil, and rough grading. If you’re not experienced in these techniques, you might want to hire a professional or study the installation manual and learn how to do each step on your own. While many people enjoy DIY projects (and installing fake grass certainly qualifies as a relatively easy DIY project) people who are new to the material might require help. Depending on the size of your project, you might need assistance with unloading the products from the delivery truck. You might also need assistance with preparing the ground and installing the fake grass. Artificial Turf Supply Commercial & Residential Division provides artificial grass for commercial and residential projects, including lawns, pool surroundings, and pet areas. These days it’s not uncommon to see fake grass in your neighbor’s front lawn. 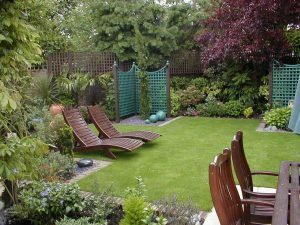 In fact, many property owners have come to appreciate the benefits of fake grass and use to create lush lawns that save time and money. But fake grass isn’t limited to front lawns. In fact, homeowners and property owners around the country are using it to design a variety of unique landscaping plans that enhance add beauty and value to their properties. If you’re new to landscaping with fake grass, don’t worry. The professionals at Artificial Turf Supply have provided the following ways you can landscape with artificial grass. Do you have a pool? A cost-effective way to landscape your pool is to use fake grass. Synthetic grass is a versatile product that can be cut to fit any shape or size landscaping design. Regardless of the shape and size of your pool area, you can use fake grass to beautify the area and provide a place for family and friends to relax, sunbathe, and enjoy the pool. To create a care-free landscape that can survive for weeks without maintenance, consider adding low-water plants and flowers. Create a welcoming path to your front door with fake grass. Durable and soft underfoot, synthetic turf is a flexible material that can be used to create any type of walkway to your front door, including windy pathways, straight paths, and multi-surface pathways with fake grass, bricks, and other materials. Available in a variety of styles, fake grass will look perfect and green year-round and will also blend in with natural landscaping elements. Artificial Turf Supply is one of the leading artificial grass suppliers in the nation, offering residential, commercial, and athletic fake lawn grass. Maintaining a golf course is very expensive, especially one designed with natural grass greens, tees, and fairways. A natural grass course requires a great deal of water and ongoing care. Even when properly maintained, natural grasses do not offer the lush, green color or perfect consistency desired by golfers. In order to make golf more affordable and to achieve the level of perfection required for the players, today’s courses are being designed with artificial grass turf. But is synthetic grass an appropriate surface for golf? Here’s a look at the features of this new alternative to natural grass golf courses. Many facilities prefer using synthetic turf over natural grasses because it performs similar to — and sometimes even better than — natural grass. Performance is a major concern when designing golf courses. Players want to know that they’re playing on the best possible conditions. The good news is that synthetic grass provides the perfect surface for the game of golf. It can be cut to a low height that is ideal for the contact of the ball against the club. Facilities can use synthetic turf to create perfect golf courses, putting greens, impact greens, and driving ranges. However, professional facilities are not the only ones switching to synthetic turf putting greens. In fact, homeowners across the nation are also using fake turf to design indoor putting greens and gloating golf greens. Water restrictions have led many facilities to find alternative ways to play golf. Installing synthetic grass courses and putting greens can help conserve water without sacrificing performance. Fake grass courses and putting greens don’t have to be watered or maintained, significantly reducing irrigation requirements and costs. Many facilities choose synthetic grass to create golf courses because it’s simply more affordable than owning natural grass courses. Natural grasses have to be meticulously maintained with regular water, chemicals, and fertilizers. Real turf golf courses also require a great deal of maintenance, from mowing and cutting to detail work. However, fake grass requires minimal maintenance. What’s more, initial construction costs for a synthetic grass golf course is much cheaper than natural grass courses, especially if you purchase artificial grass wholesale. Up until recently, golf was a sport for the wealthy. However, it is now becoming a sport that everyone can enjoy. Create an affordable golf course with synthetic grass. Artificial Turf Supply has provided this guest article. Artificial Turf Supply designs and manufactures synthetic turf for various applications, including golf courses and putting greens. Take advantage of wholesale artificial grass prices. If your floors are worn out, stained or just plain old, consider installing new house flooring throughout your home. New flooring makes a big statement and pays off when you’re ready to sell your home. However, upgrading your home with new floors doesn’t have to break the bank. New floors come in a wide range of materials and pricing, ranging from carpet to tile and hardwood floors. Depending on your budget and the style of your home, it is easy to select flooring that satisfies your wallet and lifestyle. If you want to create a cozy and warm atmosphere in your home, consider installing brand new carpet. Carpet is available in a myriad of hues, textures and patterns, making it simple to select a product that will keep your toes warm and enrich the style of your home. Contemporary carpet trends include berber as well as soft hues such as pale greens, yellows and blues. Another flooring option for your home is tile. Traditionally installed in the kitchen and bathrooms, tile is venturing into other rooms in the home, such as the living room and bedrooms, adding color, texture and pattern. For example, porcelain tile can be installed in the living room to offer a rich earthy look. But regardless of where you install tile in your home, make sure that your home improvement project involves a slip-resistant surface to avoid unwanted accidents. Finally, you can’t go wrong with hardwood floors. Whether in the living room, entryway, or throughout the entire home, hardwood floors add character, warmth and value to your home. For most people (read men), the occasion of sending flowers is at least a twice-yearly ritual, encompasses the twin female-centric holidays of Valentine’s Day and Mother’s Day. In the case of the less-thoughtful, “let’s just do this” sort of man, the act of sending flowers is typically performed with scarcely a second thought, might even, in fact, be carried out by a secretary. Conversely, the uber- thoughtful “let’s do this right” kind of man, knows where to go, whom to contact, what questions to ask, and, of course, has a good idea of what he is intending to send. Not all floral websites are alike. A good site will look like a million bucks, and give the prospective buyer more than a picture of a flower, an arrangement, and a price tag; it will offer choices, flower information, and background, suggestions for arrangements and alternatives to standard clichéd selections. As ever, pricing and delivery information will be readily available and clearly and correctly priced. For an excellent example of an online flower vendor, check out the website for Serenata Flowers (http://www.serenataflowers.com/), a UK-based star seller. The savvy flower sender is wise enough to look at a variety of websites or shops in order to determine pricing, satisfactory delivery terms, and general customer satisfaction. An outstanding seller will offer competitive pricing, (not to be confused with cheap pricing), realistic, consistent and timely delivery, and knowledgeable, friendly service. 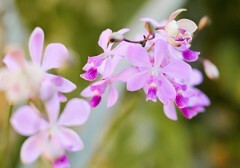 This service extends to creative flower selections and arrangements to a deep knowledge of and expertise with flowers. A shop with superior staffing and service will most likely have lots of press acclaim and customer testimonials plainly displayed. The smart shopper will look for these. Ultimately, shopping for the appropriate vendor for purposes of sending flowers boils down to a little bit of effort, an attentive mind, a dab of common sense and a willingness to invest the energy and desire in order to send the very best selection.